Water Bears EDU is a 3D puzzle game for the iPad®, designed to enhance systems thinking skills in middle school students. Systems thinking, or the understanding of the interdependency of related elements within the world or an organism, can be used to develop knowledge in a myriad of subjects, such as science and math. 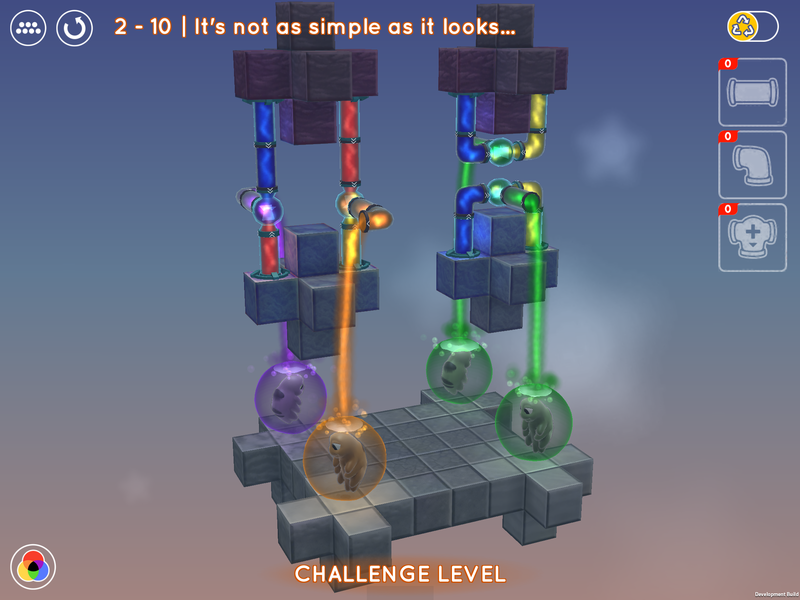 Spatial reasoning and color theory are two additional concepts addressed in this game. Schell Games, developers of Water Bears EDU, took special care to craft a game that not only appealed to students, but also provided educators with a meaningful tool for teaching STEM subjects. The game was developed in collaboration with the Creativity Labs at Indiana University in Bloomington, who served as the lead subject matter experts on the project, and is based on a prototype funded by the MacArthur Foundation. Real-time reports, a teacher’s guide, and sample lesson plans that can easily complement or supplement an educator’s existing curriculum are important part of the game as well. Schell Games enlisted Brooke Morrill, their in-house educational researcher, to ensure the game met appropriate educational standards. Brooke was responsible for assisting with the game’s curricular standards alignment and classroom integration (e.g., lesson plan guide, teacher’s guide). With her guidance, Water Bears EDU was specifically designed to benefit educators. The game provides a fun, concrete way to teach critical but abstract systems thinking concepts, and it serves as flexible tool that allows for teacher-led guided lessons or student-led exploration followed by classroom discussion or follow-up activities. This flexibility should permit teachers to use the game in whatever way best fits their students and their lesson goals. As games become an increasingly popular way to engage and teach students both in and out of the classroom, it was extremely important for Water Bears EDU to be part of the GlassLabs Games platform. The platform allows teachers to access games designed specifically for teaching a variety of subjects. The game analytics and reports accessible through the GlassLabs Games platform let teachers to monitor their students’ progress to assess whether students have mastered the desired concepts. Simply put, teachers will appreciate using Water Bears EDU as a part of their curriculum because Water Bears EDU is fun! Students will enjoy participating in the gameplay, as well as comparing their puzzle solutions to those of their classmates. Additionally, the flexibility of the game allows each teacher to integrate it in ways that best suit his/her students, including individual assignments, group work, or even class-wide puzzle-solving competitions. 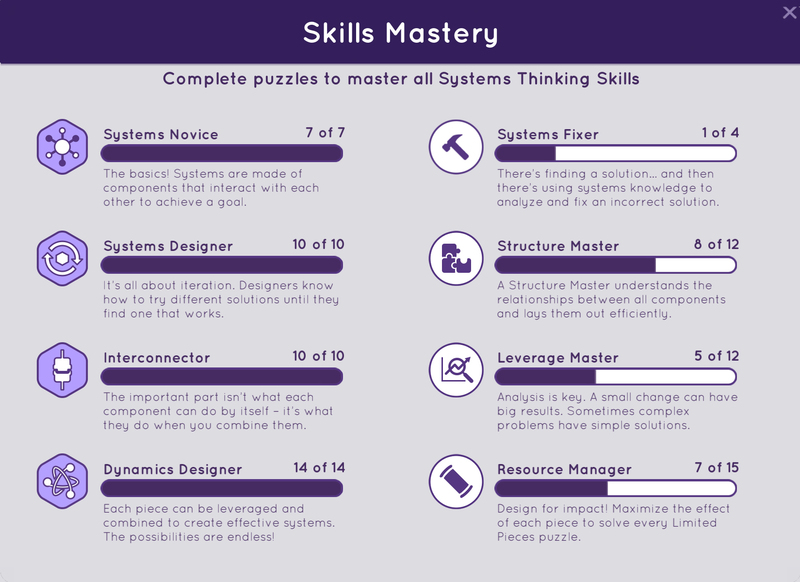 Regardless of how the game is integrated into the curriculum, the systems thinking concept discussions to which it leads are sure to get students thinking about the incredible world of systems.